This is an era ruled by electricity. Without electricity, our daily lives come to an abrupt stop. All our appliances and gadgets are electrical. With electricity being the centre of our lives, we need a reliable and trust worthy source for electrical repair works. If you are looking for a professional and reliable electrical repair service, your search stops here. Bloomfield Heating, Cooling and Electrical is a name synonymous with the words reliability and trust. Bloomfield Heating, Cooling and Electrical is a family owned and operated company with a reputable name in Basking Ridge, New Jersey. Servicing the people of Basking Ridge since 1988, we consider ourselves a people’s choice. We provide all electrical services, from installation to maintenance to repair works. The list of our services is extensive. We provide services like installation of security cameras, surge protective device installation, electrical outlets and wirings, interior and exterior lighting, circuit breakers, motion lighting etc. We also perform electric service upgrades and installation smoke and carbon monoxide detectors. 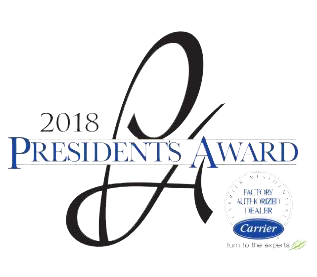 We are an award-winning company with awards like the Super Service Award from Angie’s List for the past ten years and the Best of Essex Readers’ Choice Contest in the category of best HVAC and electrical company. Our employees and staff, both, have worked hard to earn this solid reputation. We have a customer-friendly and experienced crew that is bound to leave you satisfied. Our employees are highly trained. We owe our extensive client base to our happy customers. Referral from our satisfied customers is the number one reason for our considerable success. We provide a 24 hours on-call facility to ensure our assistance whenever you need. We use standardised equipment and quality materials to ensure complete safety. We follow all rules and regulation to the T as safety of customers and employees is of utmost importance to us. We hire licensed and certified electricians only. Our company and employees are fully insured. We offer the most competitive prices in compliance with the industry norms. We ensure that our prices are the most reasonable and affordable to everyone. We also offer a 12 month special financing with approved credit. We complete our work in shortest possible time so as to not be a hindrance to our clients. Try our services one time and we assure that you will always look for our services when in need. Contact us for a quotation for your needs.